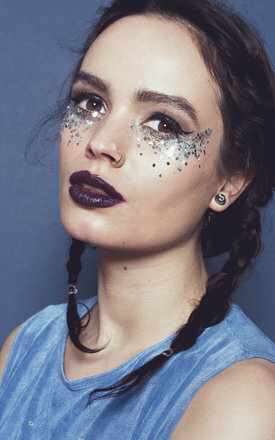 The glittery looks are endless…Glitter your cheeks at festivals? Glitter your sunkissed chest and shoulders in Ibiza? 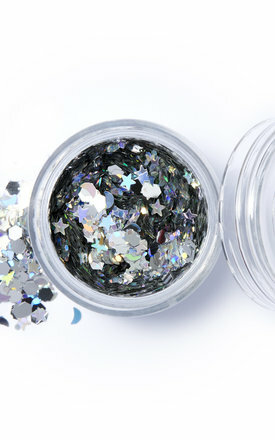 Glitter your lips for a big night out? Glitter your nails dipping into the pot with wet clear polish on or take your pots along to your local salon for a pro to help you? 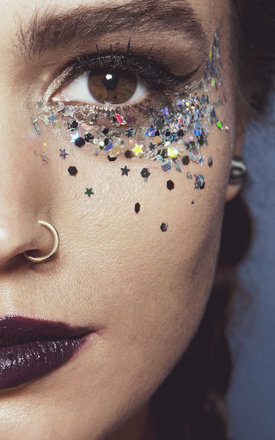 Glitter your hair parting to hide roots or basically to just look amazing! To remove, use makeup remover or cotton pad soaked in water or baby oil.